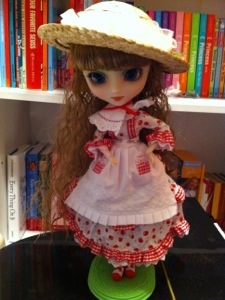 Dita is not my favorite Pullip, but I got her for a good price. 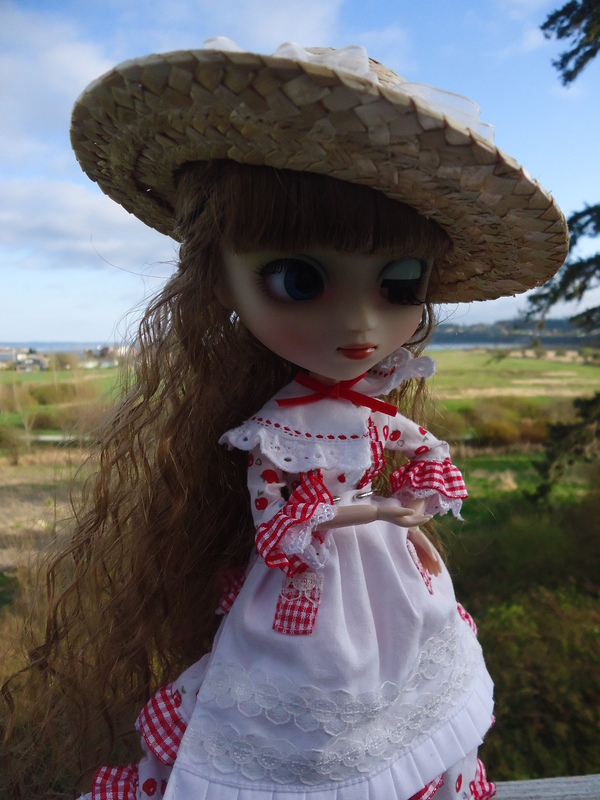 It’s the last day of Pullips. Here’s Dita. She’s showing off that she can wink. I’m gonna start a new feature tomorrow, and I think it will be AWESOME! I’ve mentioned the Pullips, but haven’t yet featured them here. They are from a company called Jun planning. If I recall they are a Korean company that sold to Japan. Therefore they are hard to find and expensive. I fell in love with them the moment I saw them. They are super poseable and their eyes move by levers on the back of their heads; reminiscent of Kenner dolls of the 1970s. I have 7, and I think that’s enough, unless I find good deals on more. This is Dita. 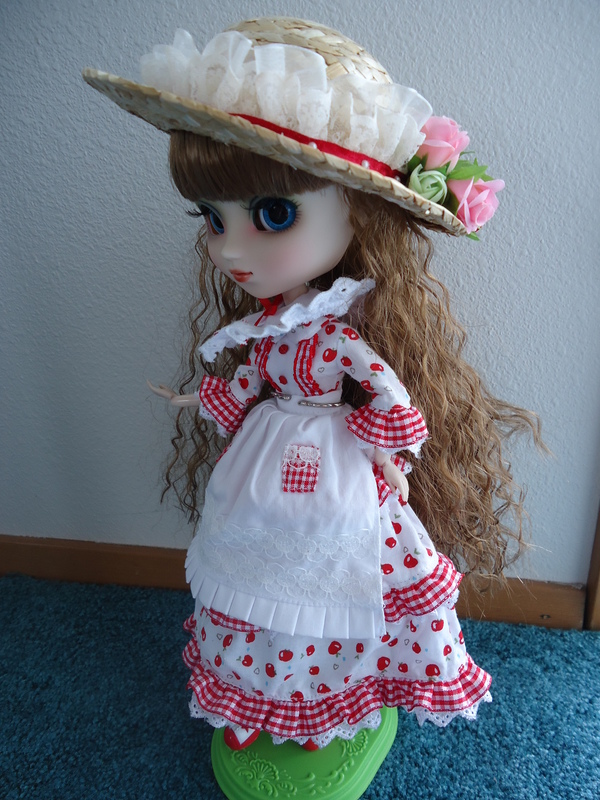 She looks like strawberry shortcake.